Projects designed, engineered and installed a series of frameless glass infills to the brick archways of this listed building, as well as some frameless glass entrance pods. 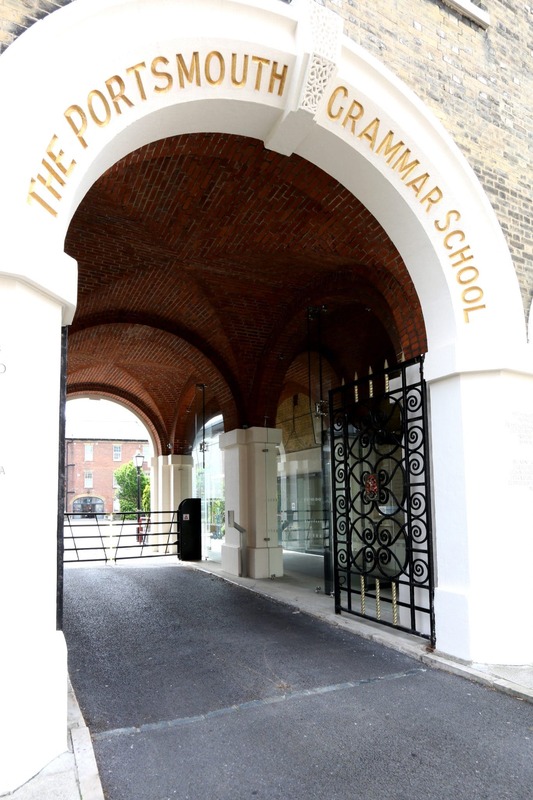 Due to the listed nature of this 18th-century school building, specialist heritage glazing had to be used and so the frameless structural glazing was engineered by IQ Projects to help provide a safe walkway for the pupils to use to access the new sixth form building. Our frameless interior system was engineered for the frameless glass entrance doors so that once these doors are locked, pupils may get out of the building but it prevents anyone else getting in. The clear structural glass used in this project helps to maximise the natural lighting around the entrance as well as emphasising the architecture of the arched red bricked ceiling. The use of frameless glass also maintains the character of the original building design, a requirement for listed building consent. A minimal framed automated sliding glass door unit has been installed at the entrance of the school for an access point that, again, doesn’t detract from the character of the Grade II* listed building. The use of this door here is perfect due to it being a high traffic area. The frameless glass ensures that natural lighting can flood throughout the entrance and it also prevents the students going somewhere that could be dangerous or where they aren’t allowed. Using frameless glass for this project still allows for the heritage to be shown as there are no major contemporary additions.